Brochure and Flyer templates for use with Microsoft Word, Adobe Illustrator and Adobe InDesign. Construction, Freight, Cleaning Service, Handyman, House Improvement, Cosmetic Practice, Landscaping, and more. Snappys’ high-quality templates makes it easy for you to create great looking marketing materials affordably and quickly. Our royalty-free brochure templates include customizable layout files, hi resolution stock photo images and illustrations and are produced to industry standard sizes suitable for delivering and printing to commercial print shops, quick and copy centers, or direct to your desktop inkjet or laser printer. Compatible with a host of desktop applications including MS Word, Illustrator and InDesign they make a great marketing tool for entrepreneurs and start-up businesses. 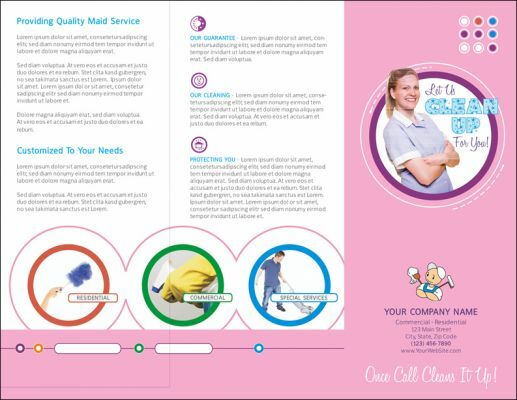 This Residential & Business Cleaning Brochure is a great start up, promotional brochure to display and tell people and prospective customers about your business, products or services. May also be used for Janitorial or other types of trades by just changing a few images. About: This Brochure, professionally designed can help you get a head start on your next brochure promotional project. No need to design your brochure from scratch, with our contemporary design and features, it is sure to help you promote your business of services with new, updated, contemporary brochures without going through the expense of starting new or paying the high design costs of print shops or graphic designers. Fully Editable: All content can be fully personalized to meet your individual or business needs and done as often as needed. Add/edit/personalize your business name, address and contact information, business logo, add your own images to enhance the look of your brochure, add your own content to fit your products and services and display the information that you need your potential customers or marketing target to know about your business, change text size and brochure colors, fully editable brochures without restrictions of any kind. This is a multi use business promotional advertising handout or flyer. Can also be used for other trades by changing the images, colors, etc. as displayed in the thumbnail image and also in the More Info... tab below. 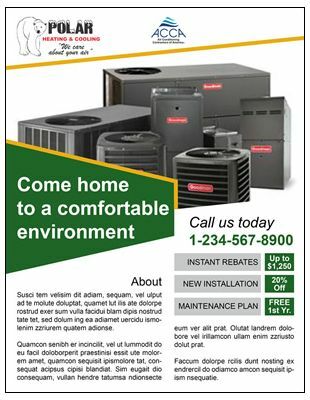 Here we are using this one flyer to create a promotional, introductory price for an HVAC, Flooring, Plumbing, Roofing, Paving and Landscaping contractors, with just one flyer and minor changes to the main headline and header section, to place your business contact and logo. A great start up, promotional flyer to display and tell people and prospective customers about your business, products or services. About: This Flyer, professionally designed can help you get a head start on your next promotional project. No need to design your flyer from scratch, with our contemporary design and features, it is sure to help you promote your business of services with new, updated, contemporary flyers without going through the expense of starting new or paying the high design costs of print shops or graphic designers. 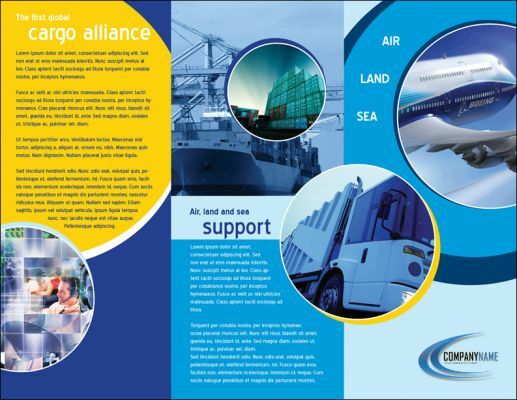 This is a logistic / shipping and cargo brochure, good for air freight, marine and sea cargo, land freight and freight forwarding and other logistic type business. It is tri-fold brochure. It is a is a great start up, promotional brochure to display and tell people and prospective customers about your business, products or services. About: This professionally designed template can help you get a head start on your next brochure promotional project. No need to design your brochure from scratch, with our contemporary design and features, it is sure to help you promote your business of services with new, updated, contemporary brochures without going through the expense of starting new or paying the high design costs of print shops or graphic designers. 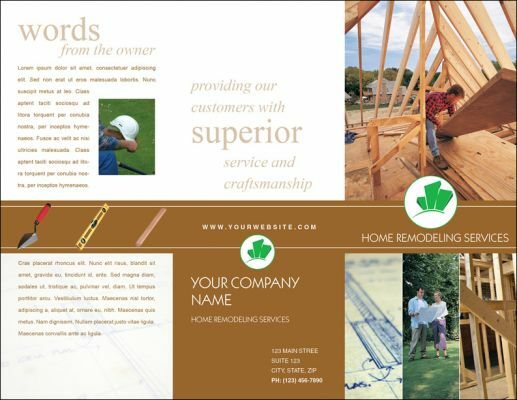 This is a brochure for home improvement and remodeling. It is a tri-fold brochure. It is a great start up, promotional brochure to display and tell people and prospective customers about your business, products or services. 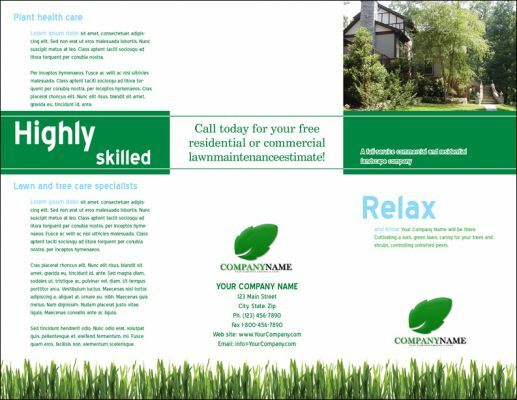 This is a brochure good for Landscaping and Yard Maintenance companies. It is tri-fold brochure. It's a great start up, promotional brochure to display and tell people and prospective customers about your business, products or services. 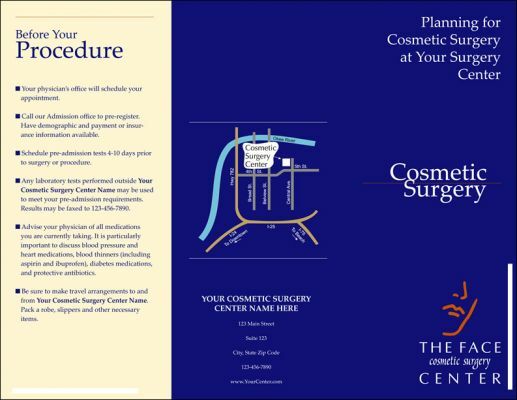 This Planning for Cosmetic Surgery brochure is a great planning toolkit and a helpful resource to answer your patient's general questions and address basic information that may be relevant to their plastic surgery experience. Patient safety should be your highest priority and informing your patients will be your biggest asset. Teaching your patients about their options will help them be educated patients, better prepared for physician consultations and ready to decide on which procedure is right for them. This is a great brochure and editable using Microsoft Word. Easy to personalize, once completed, print, in your office, as many as needed, or deliver camera-ready artwork to your local speedy printer or print shop, for quantity brochure printing. This is a cleaning brochure, good for residential, commercial and janitorial cleaning, rental unit cleaning and services. Can also be used for other cleaning trades by changing the images, colors, etc. A great start up, promotional brochure to display and tell people and prospective customers about your business, products or services. 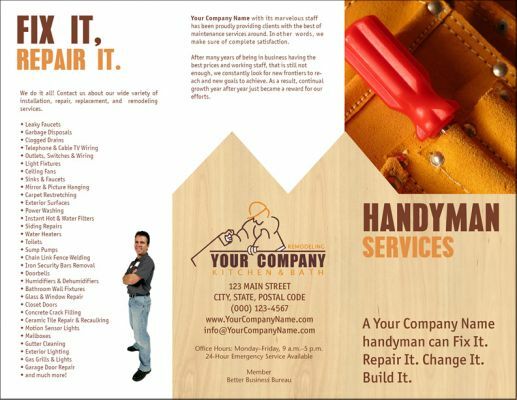 This brochure is the perfect choice for Handyman, Home Improvement and general Home Painting, Fencing Repairs. It is tri-fold brochure. It is a great start up, promotional brochure to display and tell people and prospective customers about your business, products or services.